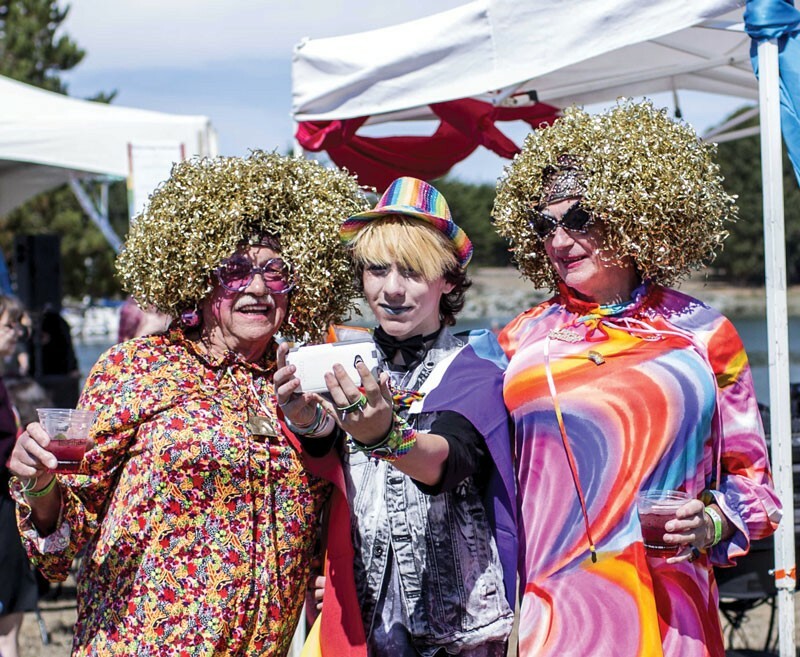 2015 has been an historic year for gay rights and on Saturday, Sept. 12, the 23rd annual Humboldt Pride Parade and Festival (free) is ready to celebrate the good times and acknowledge the pioneers who fought shoe and nails for it. The parade starts at First and C Streets in Eureka at 11:30 a.m. and makes its colorful way through Old Town before ending up at Halverson Park at noon. Once at Halverson, the day-long festival explodes with more rainbow colored everything than you can imagine. Just try to keep from smiling as you take in all the happy people, booths, vendors, live music, DJs, food, drinks and more. 21 and over attendees can enjoy pride cocktails and beer. Kids can race around with rainbow streamers and romp in the bounce houses. Two entertainment stages will educate and entertain you with live bands, speakers and performances. The theme for this year's event is "We Are Queer History." Zakkary Zoah, a member of the Board of Directors, said, "With all of the historic wins for the LGBTQ Community over the past year, it's a good time to celebrate and educate about the history of the LGBTQ Movement." The parade and festival cap off a week of events that includes the film Toilet Training on Thursday, Sept. 10, 7 p.m. at HSU (free), Queer Remembrance: Honoring the LGBT Heroes of 9/11 on Friday, Sept. 11 at 7 p.m. at the Arcata Plaza (free). Love keeps winning at the Pride After Party at Siren's Song Tavern on Saturday, Sept. 12 at 9 p.m. (TBA), and at the Suicide Awareness Walk on Sunday, Sept. 13 at Arcata Plaza at 9 a.m. (TBA). Everyone is welcome to march in the parade and party at the festival afterward. Like the LGBTQ anthem says, "we are family."